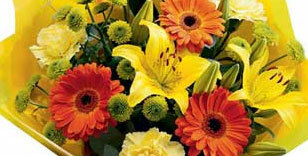 Detailed information and reviews of US shops and florists offering bouquet & flower delivery and arrangement services. Post your requirements and receive no obligation price estimates and online quotes. Edelweiss Flowers - Do you carry edelweiss flowers? How much would a bouquet cost? Cookie Bouquet Or Flower Bouquet - Looking for a bouquet of flowers or cookie bouquet that would represent the Buffalo Sabres. My daughters 40th is 3/23 and she is an avid fan. Any suggestions. Potted Easter Lillies - 100 potted easter lillies need for Easter Service at Church. Cut Zinnias - I'm looking for about 200 cut Zinnias for an August wedding. No arrangement, just the flowers.